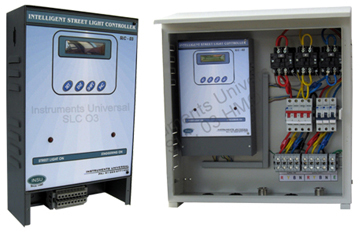 Street Light Power controller controls unrequited power wastage. Eight Date range programming facility to disable staggering mode for festival and special occasion. Manual stagger off facility for special requirement. Staggering: Street light power controller conserv energy UP to 30% . It is quite depend upon the time of staggering and the load you are stagger.